Sometimes its just really handy to be able to plug something into your GPIO pins without having to get out breadboard and jumper wires. The Raspberry Squid from MonkMakes.com makes does just that. 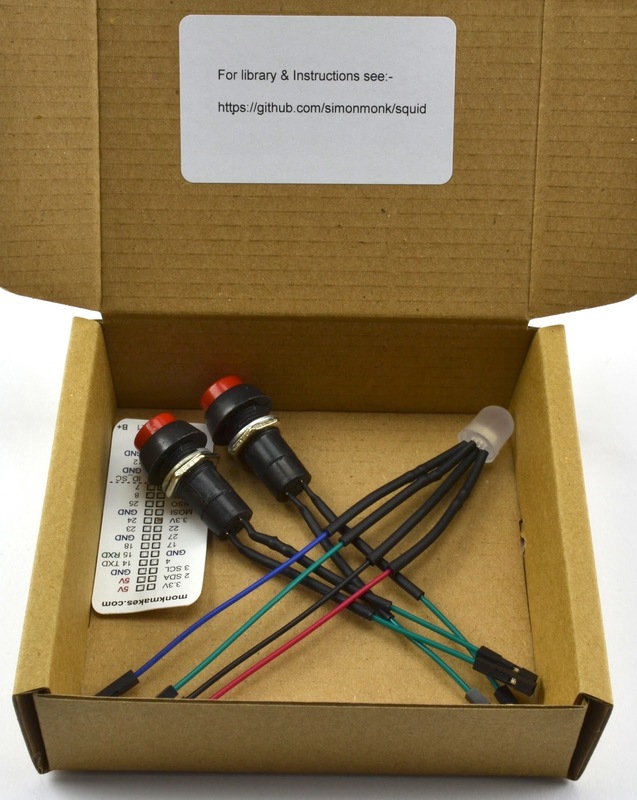 The Common Cathode RGB LED squid is terminated in female jumper wires and includes series resistors for the LEDs inside the shrink wrap. So, you can just plug it straight onto the GPIO connector. Its not so hard making your own Raspberry Squid and you can read just how to do that here where you will find a library that makes it easy to use the Squid. You can also buy ready-made Squids from Monk Makes in various sets, available on Amazon in the UK and US. So as well as RGB and Button squids MonkMakes also have a DS18B20, light sensor and buzzers in the pipeline.